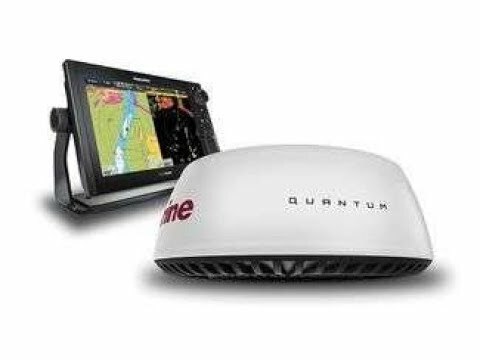 Here are a few tricks to get the most out of your boat’s navigation system. 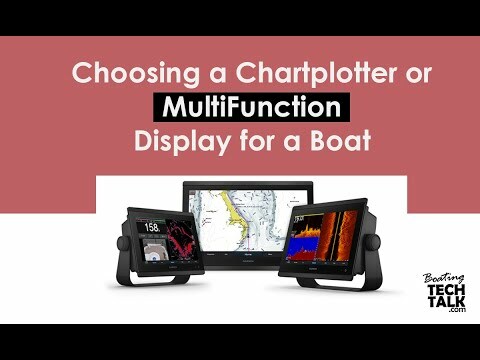 Today’s multifunction displays have a full suite of features that most boaters never use. While it’s straightforward to view a chart, here are a few tips on some basic to advanced features to help maximize the use of your multifunction display—and make your next trip safer and more enjoyable. When looking at a digital chart you might find yourself overwhelmed with too much information. Zoomed out at a small scale, there are so many data points on a vector chart that the chart itself can be hidden. Depending on the make and model of your chartplotter there should be a function (a soft key button) that removes all the screen clutter and shows only the important chart detail. Various manufacturers have different function names to achieve this—for instance, Raymarine calls it “declutter” and Garmin calls it “chart detail.” While cruising, we always have all the chart detail available when leaving or approaching an anchorage, especially when looking at a large-scale chart. When crossing the Strait of Georgia or sailing up Malaspina Strait, we’ll reduce the screen clutter to see the essentials. Paper charts have one clear advantage over digital vector or raster versions: their size allows the user to see both detail and context simultaneously. 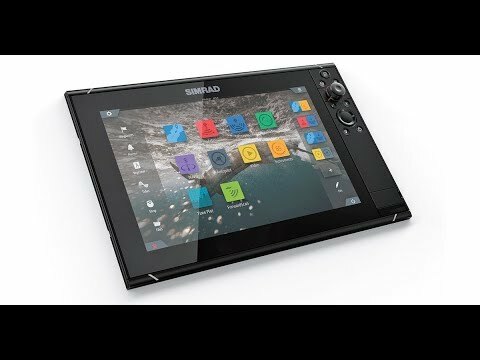 Even with an eight-inch, 12-inch or 15-inch display, we find ourselves zooming in and out to plan where we’re going and to see our surroundings. Ideally it’s best to have both large and small scale charts visible at the same time. Thankfully, most chartplotters give us the ability to split the screen into multiple windows. For instance, some common preconfiguredset-ups have chart and radar, or chart and sounder. When we commission navigation systems for our clients we often suggest configuring a new page with side-by-side charts: one large-scale chart to see all the details directly around the boat and another small-scale chart to see the surroundings. With such a set-up you get the best of both worlds and effectively get much closer to the paper chart experience. We always emphasize to our clients the benefit of radar even when visibility is good. One of the main benefits of the multifunction display is the radar overlay feature which overlays the radar image onto a chart, permitting the user to quickly distinguish land and other points of interest. When anchoring in crowded or tight anchorages it’s also very helpful to gauge the distances between our vessel and the others, or the shore. By taking the radar overlaid image on the chart and moving the cursor to interesting points surrounding us we can find out the exact distance. This will help decide how much rode to let out so there is still room to swing at anchor. When stern-tying to shore we use the radar to accurately measure the distance in order to have the adequate scope before bringing a line to shore. Not only does radar enable you to see other objects or land surrounding your vessel, it also allows you to track these objects of interest and discern their course and speed relative to your own vessel. Acquiring targets using the mini automatic radar plotting aid, or MARPA, is very helpful for vessel collision avoidance. With radar overlay it’s even easier because you can clearly see which are the land masses and which are other boats. Once a target is manually acquired your radar will quickly calculate the course and speed of the other vessel and warn you of any impeding collisions as the vessel bears closer. After cruising the B.C. coast long enough you might find yourself in a situation with limited visibility. This might be caused by a bank of fog that rolls in and surrounds your boat suddenly, or by arriving a little late at your destination. In my experience such situations make you realize how dependent we are on good visibility for coastal piloting. With limited or no visibility you might find it disconcerting to realize that your senses and intuition will deceive you in making the right decisions. At this point, navigating with your instruments could be your only option. For instance you might be looking at your compass heading, depth reading, GPS location, and even a radar image to discern your own location and that of any boats around you. Building confidence in your navigation system doesn’t happen overnight but gradually you should be able to rely on it when you’ll need it the most. We hope these tips will help you build that trust. About the author: Jeff is a systems design engineer and owner of Pacific Yacht Systems, a full service shop delivering marine electrical and navigation solutions for recreational boats. This is a new series of columns on the changing world of technology and boating.